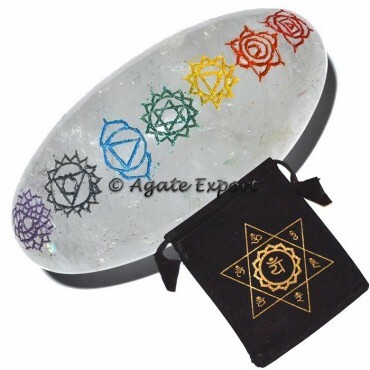 Agate Export offers 3 inches long Seven Chakra Meditation - Crystals Shivalingam. It is beautiful and powerful. Use it during meditation to channelize your chakras and to boost energy in the body.